This pair of long pants is made from linen polyester. 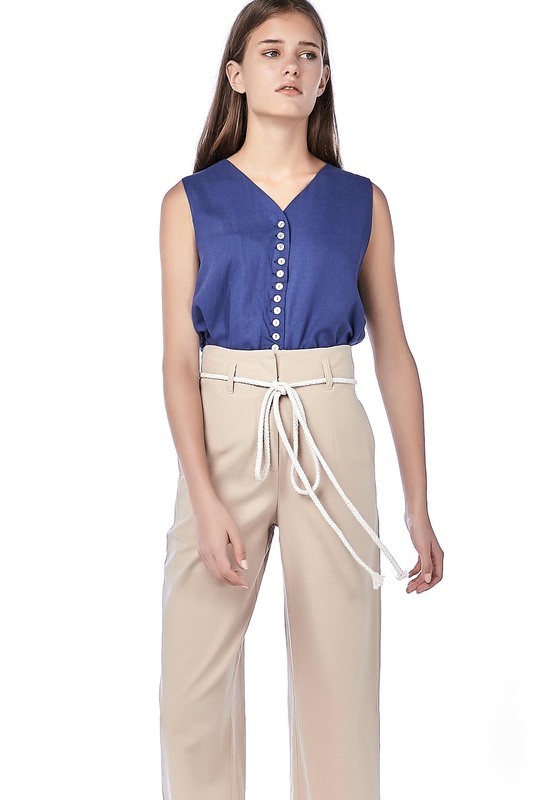 it is high-waisted and wide-legged featuring a rope tie at waist. Functional pockets with clasp and zip closure on the front. LENGTH 39" 39.5" 40" 40"